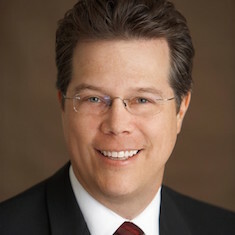 Michael Hill began in the Insurance and Financial Services industry in 1993 helping individuals and businesses design strategies for the employee benefit market and personal insurance programs for individuals. In 1998 Michael became a practitioner of the LEAP® system and Wealth In Motion, which focuses on developing strategies that help families and business owners win the financial game of life. Moreover, his solutions provide clients helping them maximize their financial security and the efficiency of their money at work. As an insurance and financial services professional he provides the most advanced and up to date information to his clients. He does this together with his team of property & casualty, employee benefits specialists to better provide our client with an education of the risks they take every day, and how their money works. The result is that his clients are able to make informed decisions rather than having decisions made for them based on opinions. Mike graduated in 1990 with a degree in Business Finance. He is a member of GAMA International. He contributes to various charitable organizations in the area including Habitat for Humanity, LA & Long Beach Missions among others.